Children have fun with music! 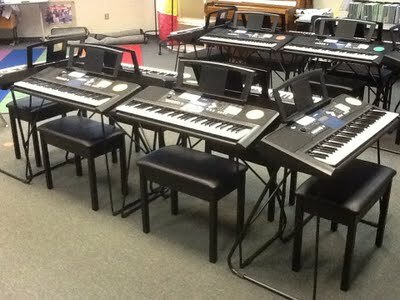 Keyboard Beginnings is a music course that introduces young children to their first playing experience on the piano and keyboard as a solo and ensemble instrument. Keyboard Beginnings is an all inclusive music course with songs and lyrics that encourage young children to sing and play simultaneously. Children are gently introduced to note and rhythm notation through the repetition of note patterns and simple rhythms in each song. 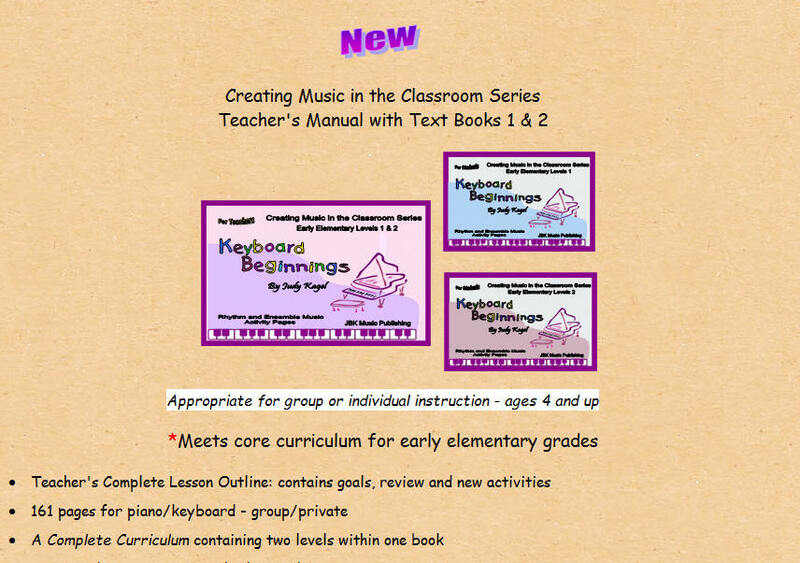 The music books in the young beginners series were created by Judy Kagel of JBK Music Publishing Co. The music books for young children include activity pages for reviewing concepts taught in each song. Through ear training activities, children learn to distinguish different pitches, listen and clap simple rhythm patterns, and play music with an even tempo. 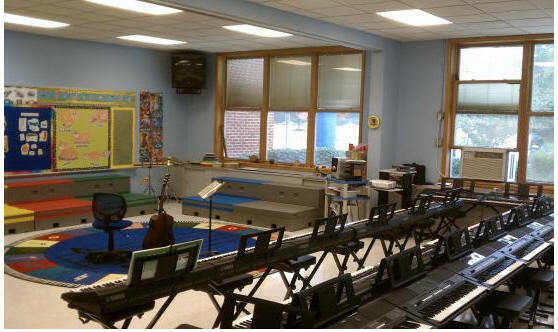 Keyboard Beginnings, now in its 15th year, has been classroom tested in Monmouth and Ocean Counties of New Jersey. 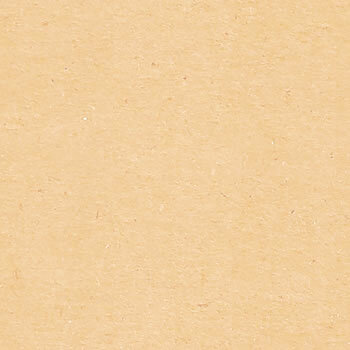 For more on the philosophy and techniques behind Keyboard Beginnings, visit our new Blog! Where Can Your Child Participate? New Spring and Summer 2014 Classes Forming Now! Call (732) 577-0063 for upcoming free demo lesson. Don't miss out on this Music Education Program for your child! JBK Music Publishing "kid tested" music programs are available for home and school purchase. Visit our store or Amazon.com. Register your book for updates and corrections. Thank you for your purchase and your confidence in our music program. © 2017-2012 by Judy Kagel, Keyboard Beginnings and JBK Music Publishing. All rights reserved. This page has been designed and maintained with the computer expertise of Freehold Computer Training Ct.